No matter where you travel or what you accomplish, you'll never forget your family. The memories and history that are passed down from generation to generation helped make you who you are and give you strength as you grow into who you'll become. 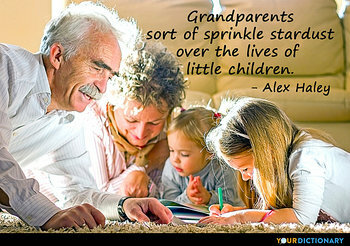 Pay tribute to this remarkable bond with family quotes from YourDictionary. My father used to play with my brother and me in the yard. Mother would come out and say, "You're tearing up the grass"; "We're not raising grass", Dad would reply. "We're raising boys". The love of the family, the love of one person can heal. Family is about who you choose to make your life with. 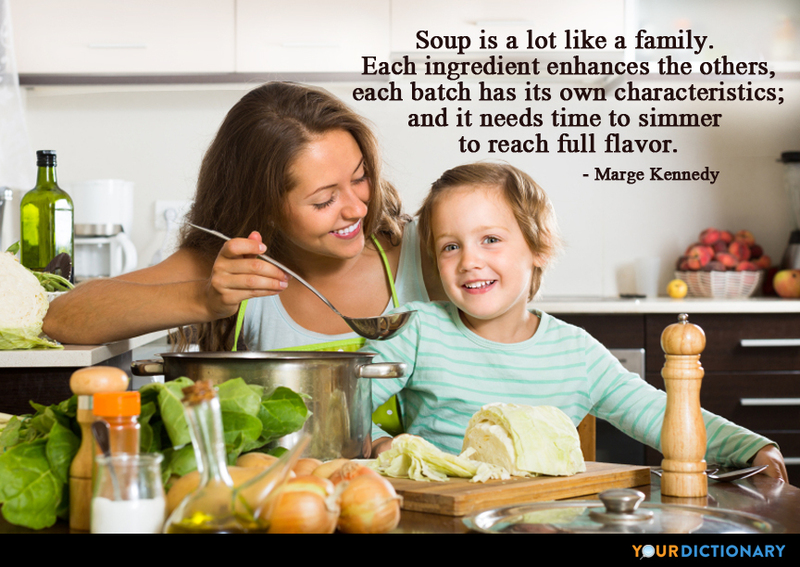 A family is made better by each of its members, much like a recipe is made better by each ingredient, or a machine only runs smoothly when all the parts are in working order. Your sassy grandmother, overprotective father, introverted sister, kooky uncle, and adventurous cousin are all a vital part of what makes your family special. Showcase their unique contributions with quotes or sayings that highlight their personalities or some of your unique traditions. Of course, families don't see eye to eye on every issue. 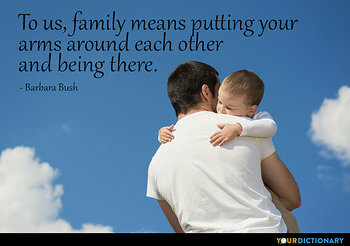 Pay tribute to your differences too with lighthearted and humorous quotes that show how disagreements only make family bonds stronger. Your family may drive you crazy at times, but this is just the spice that makes your time together entertaining. 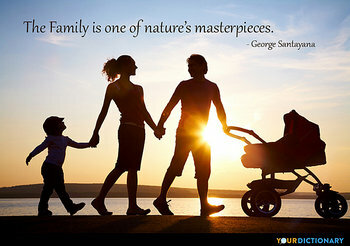 As you're searching for the perfect family quotations, don't forget that family can be more than simply the people you're related to. Special friends can become a chosen family or divorce and remarriage may create a blended family that's beautiful in its own way. Families come in all shapes, colors, and sizes—connected by a thread of love and devotion. 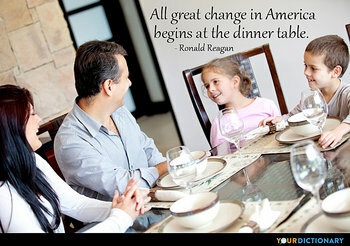 Create a one-of-a-kind keepsake for future generations by pairing your favorite family quotes with some of your most cherished photos.